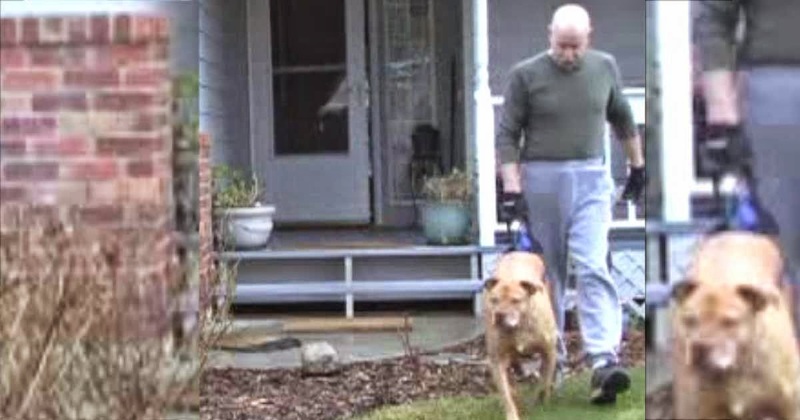 When Loois the pit bull became a paraplegic after an unforeseen accident during surgery, his owner, Craig Mosher, was not going to let his companion live a life that was less than what he deserved. Mosher was determined to do whatever was in his power to ensure that Loois continued to have a life that was as fulfilling as possible. He practically scheduled his entire life around Loois. A wheelchair for Loois is rather pricy, costing around $220. Instead, Mosher opted to purchase a harness for Loois to use during daily walks and for playing catch in the garage. It’s very unfortunate that loving homes lack the finances which make them limited in the kind of care they can provide ailing pets. Nevertheless, though he may be lacking in finances, Mosher is certainly not lacking in love. The most powerful part of his story is not what he does for his dog, but how he describes it. There is no point where Mosher seems tired to expresses regret over his best friend’s situation. Instead, he is just filled with gratitude regarding the ways Loois has completed his life. Listen to this touching story below. Please SHARE this heartwarming story of devotion and companionship with everyone you know.